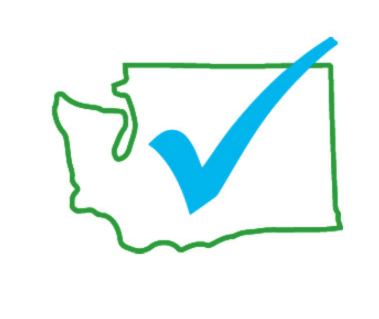 Visit www.icandecide.com for more information. Professor Exley, "Cargo of Aluminum"
The most important video I have ever shared! Period.Hear Professor Exley, this week, in his own words, discussing the new study "Aluminium in brain tissue in autism." Pay attention to the DETAILS: It's not just the AMOUNT of the Aluminum that matters here (although its exceptionally high), it's the LOCATION of the Aluminum within the brain. Here's how he explains it:“Now, because I have seen the same cells that we will see at an injection site carrying a cargo of aluminum into the brain tissue of individuals who died with autism I would now say that we have to think very carefully about who receives a vaccine that includes an aluminum adjuvant. We need to think carefully, is this vaccine a life-saving vaccine or not? If it isn’t, don’t have it with an aluminum adjuvant.”Do you understand what he just said? He just said the aluminum from the injection site is carried, like "cargo," into the brain!! It changed his own mind about the role of aluminum in autism! He says:“I did not see a role for aluminum in autism. And I didn’t see a role for aluminum in vaccines in autism. I have to change my mind now on both of these. 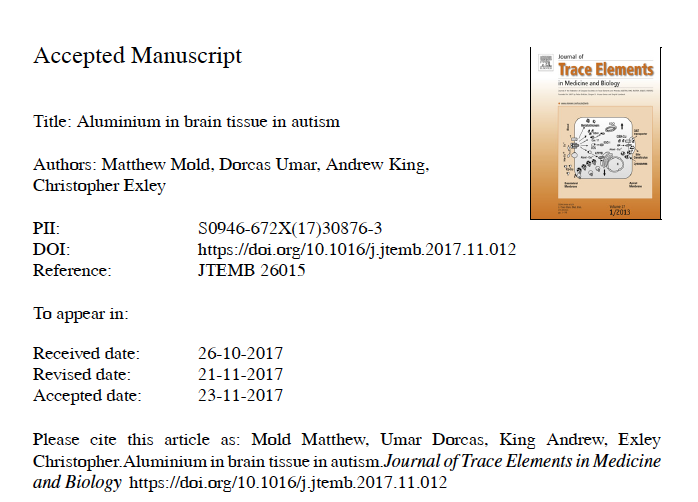 I have to change my mind that aluminum has a role in autism, I believe it now does.”Here's more detail:“Perhaps equally important if not more important were the microscopy studies. The microscopy studies enable us to identify where the aluminum was in the brain tissue. When we looked at our brains of people with a diagnosis of autism, we found something completely different and something we’ve never seen before as yet in any other set of human brains. We found that the majority of aluminum was actually inside cells, intracellular. Some of it was inside neurons, but actually the majority of it was inside non-neuronal cell populations. So we found that these cells were heavily loaded with aluminum. We also saw evidence that cells in the lymph and in the blood were passing into the brain, so they were carrying with them a cargo of aluminum from the body into the brain. This is the first time in any human brain tissue we have seen this so this is a standout and as yet unique observation in autism. For myself, it very much implicates aluminum in the etiology of autism. That doesn’t mean aluminum causes it, but it’s almost certainly playing a role in the disease.”Are the deniers in your life still trying to minimize the importance of this study? If they don't understand how important the LOCATION (which cells it's in, where it is) of the aluminum in the brain is to the findings, they don't understand the issue. By the way, this is EXACTLY what Vaccine Papers has been saying! Here's a simple brochure that explains this transport mechanism in a very clear way:http://vaccinepapers.org/wp-content/uploads/Autism-brochure-Color-8.5×11.pdfHere's Professor Exley's study:http://www.sciencedirect.com/science/article/pii/S0946672X17308763Here's an article I wrote about the study:https://medium.com/@jbhandley/new-study-massive-aluminum-levels-in-autism-brains-is-this-the-smoking-gun-for-vaccines-54ae85ec2a9cThis is–without peer–the most important science done to date that ties so much other science together. Read my article from back in February, watch this video, and your mind will be blown. Truth is staring us all in the face!! The leading expert in the world on the neurotoxicology of aluminum just said we need to rethink using it in vaccines!! Are you awake??? Here's my article from back in February:https://healthcareinamerica.us/did-chinese-scientists-find-autisms-missing-puzzle-piece-2d50be5b9122SHARE THIS WITH EVERYONE. Please!